Directed by Christopher Nolan. Produced by Emma Thomas, Christopher Nolan, Lynda Obst. Screenplay by Jonathan Nolan and Christopher Nolan. Cast: Matthew McConaughey, Anne Hathaway, Jessica Chastain, Ellen Burstyn, John Lithgow, Michael Caine. 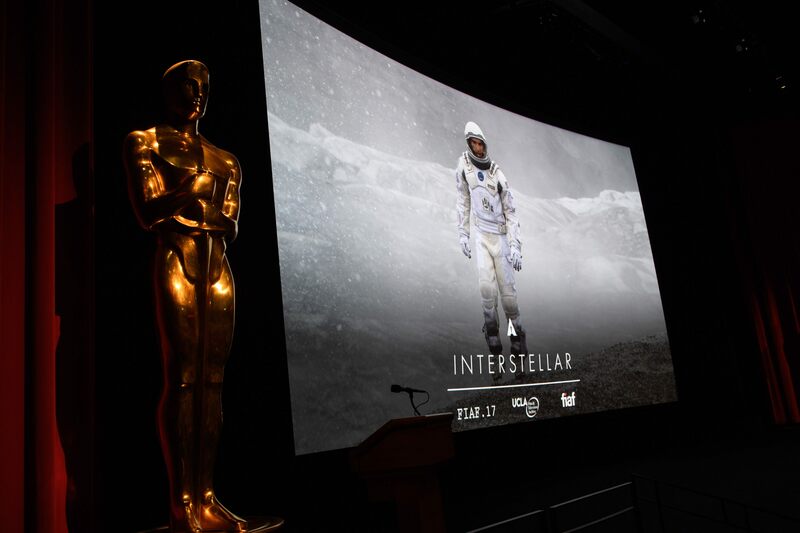 On Monday evening, hundreds of movie lovers filled the Samuel Goldwyn Theater for a special presentation of Christopher Nolan’s 2014 film Interstellar in 70mm. The event was hosted by the Academy and the International Federation of Film Archives (FIAF), whose annual congress returned to Los Angeles after 20 years. 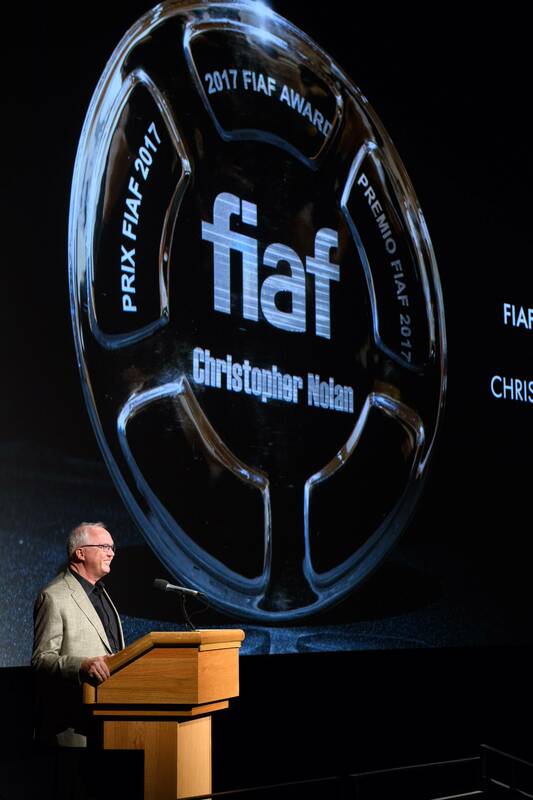 The organization honored Nolan, a three-time Oscar nominee, with the annual FIAF Award. Nolan joins a list of other esteemed recipients, including Martin Scorsese (2001), who received the inaugural award, Ingmar Bergman (2003), Hou Hsiao-hsien (2006), Liv Ullmann (2010) and Agnès Varda (2013). The Academy’s Randy Haberkamp opened the evening with an exclusive 70mm prologue to Nolan’s upcoming film Dunkirk. The preview met with wild applause from the audience, which included hundreds of archivists from around the world, in town for the FIAF Congress. 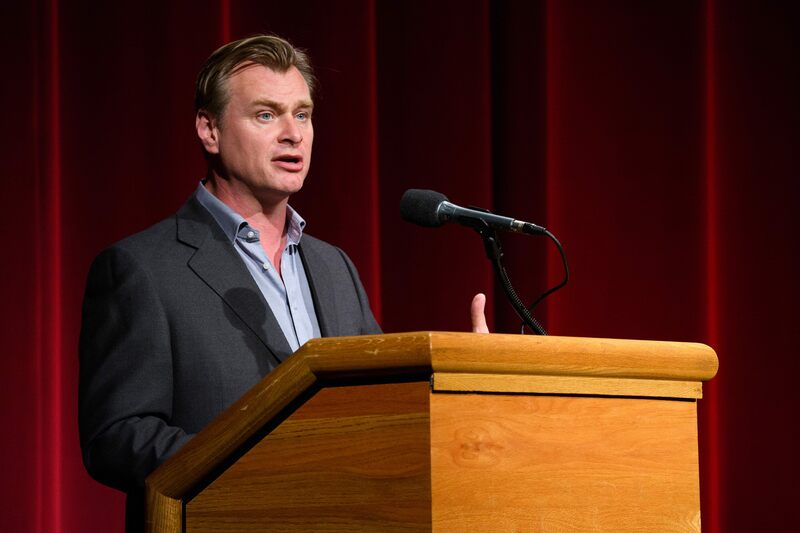 He thanked FIAF and the archiving community for the honor, and introduced Interstellar, which was nominated for five Academy Awards and won an Oscar for Visual Effects.